With a strong focus on Internet, technology, and cutting-edge law, Mudd Law Offices serves domestic and international individuals, commercial entities, and non profit organizations in a wide-range of substantive areas. The Firm represents its clients in disputes and litigation (both civil and commercial), intellectual property, and transactional or contract work. 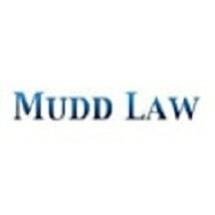 MoreWith a strong focus on Internet, technology, and cutting-edge law, Mudd Law Offices serves domestic and international individuals, commercial entities, and non profit organizations in a wide-range of substantive areas. The Firm represents its clients in disputes and litigation (both civil and commercial), intellectual property, and transactional or contract work. Within its Internet and technology law practice, the Internet attorneys on staff provide seasoned advice and counsel to our clients on issues relating to intellectual property, defamation (also referred to as cybersmear), eavesdropping, cyberbullying, privacy (identity theft, unauthorized access to email, surveillance, unauthorized publication of private material), social media, domain names, trademarks, copyrights and more. Beyond Internet and technology law, the Firm provides representation in matters related to corporate structure, intellectual property (trademarks, copyrights, trade secrets), film production, defamation, privacy, and litigation. Additionally, with respect to our corporate clients, we draft employment, non-compete, and non-disclosure agreements (NDAs). With clients in such diverse fields as software, gaming technology, film, and construction, the Firm provides a broad range of legal services to startups, small to medium sized businesses, and entrepreneurs.